Sometimes caring for the most durable plants is more difficult than caring for fragile ones. Why? Simply because we over-think the needs, or the lack of needs, of the more durable plants. That being said, here are some tips that will help you best care for drought-tolerant plants. Don’t Ignore Them – The biggest mistake gardeners make with hardy plants is they forget about them. 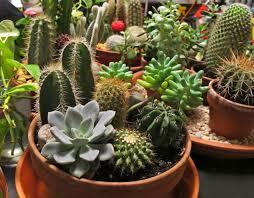 Just because your plant is drought tolerant, it doesn't mean you shouldn't water it on a regular basis. The best way to care for hardy plants is to treat them like fragile ones. Make sure they get plenty of TLC and a healthy amount of water. The day you decide that your drought tolerant plants can handle some neglect is the day they start to die. Don’t go down that road! Check for Rot – While drought resistant plants should get regular watering, too much water can be deadly. It is for this reason you should constantly check the soil to make sure the plant is not sitting in a puddle of water. If the plant has had its fill and there is nowhere else for the water to go, whether that be out the bottom of the pot or further down into the ground, your plant could rot. Before you turn on your sprinkler system, check the soil to see that it is dry or at least not sopping wet. If it is, skip watering and allow the soil to dry out some. Be Observant – Is your drought tolerant plant not growing but not dying, either? If you notice that your plant hasn't gained an inch and yet seems healthy, perhaps you’re not giving it enough to actually thrive. Maybe it needs more sunlight, perhaps a little more water, or maybe the soil lacks the needed minerals and nutrients. Be observant and investigate when a hardy plant suddenly stops growing.